Is travel time to office for a meeting part of paid time? Question: If an employee who normally works remotely has to come to the office for a meeting, does the travel time to the office count as work time when it comes to compensation? 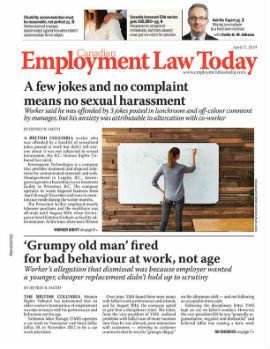 Answer: There seems to be a consensus that the answer is “yes.” Though not directly addressed in labour standards legislation, this consensus is based on an interpretation of employment standards “deemed work” provisions. In other words, having to come to the office for a meeting when one normally works remotely is the type of activity that would be deemed “work” by most employment standards regimes and, therefore, compensable.